HOLIDAY GYM – $5 per hour come along & join the fun!! Yes we have Holiday gymnastics during the 2 week break. The cost is only $5 per hour for up to 4 hours per day. You MUST phone in & book your spot though by calling us on: 4365 5545 . 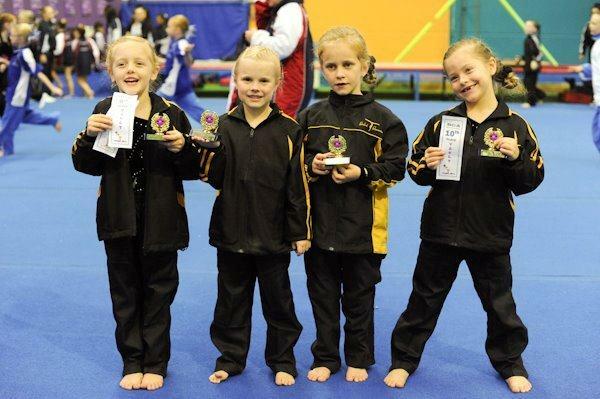 Our Junior Level 1 girls had a fun time at the invitational competition last weekend. They are all looking forward to the next one. 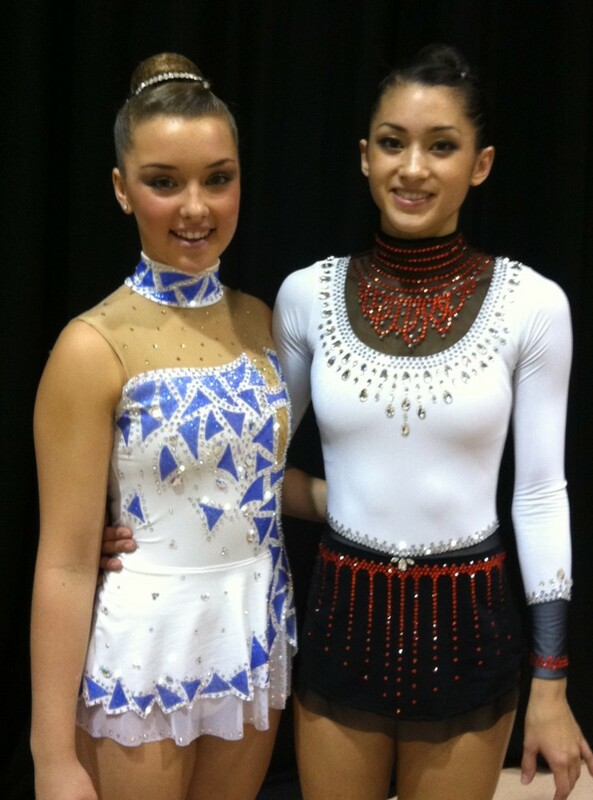 Amber Tauroa is the RG Level 7 National Champion for 2012. She is also the National Champion on Hoop and Clubs, and Bronze medallist on Rope and Ball. 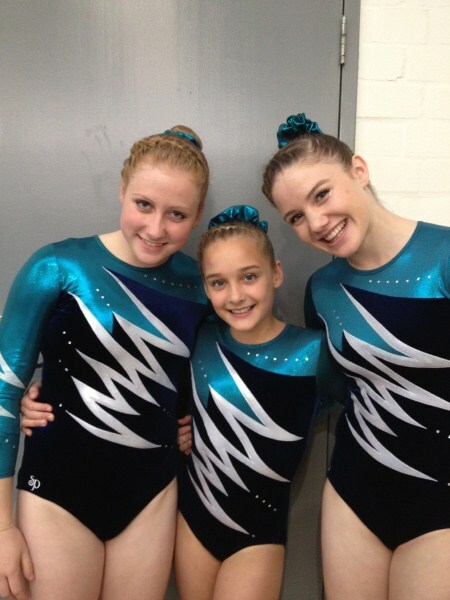 Amber was also a member of the NSW Gold medal winning Team. We congratulate her of this fantastic result, well done Amber. 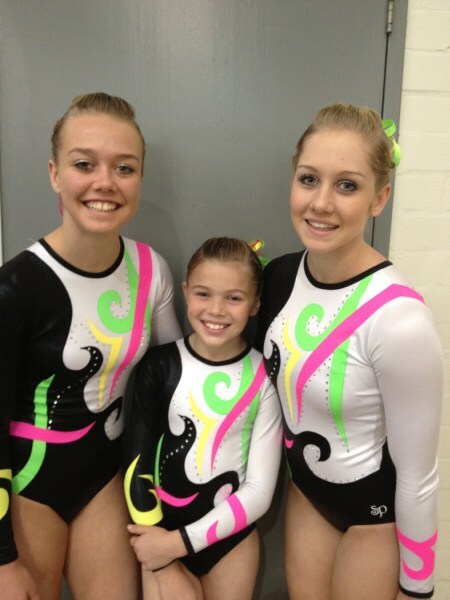 Jordan Denny (Level 9) and Karina Lee (Level 10) have been chosen by Gymnastics Australia to represent Australia at the upcoming Levels Tour to New Zealand in October this year. Congratulations girls on making the team, we will look forward to your results. Jordan – another fantastic result! 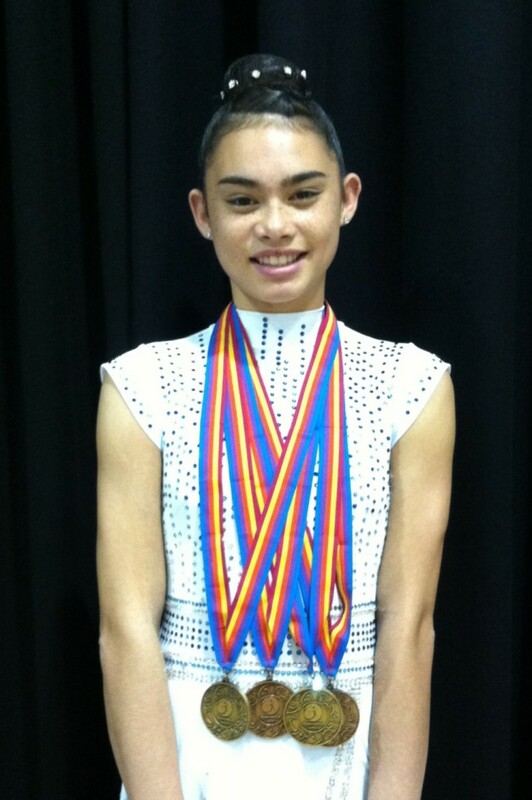 Jordan competed in the Level 9 Australian Rhythmic National Championships with another great result. Jordan Denny is a member of the NSW Gold medal winning Team and placed 6th in Australia as well as competing in the Ball and Ribbon Finals. Karina placed Second Overall at the National Championships for Level 10 Rhythmic Gymnastics. 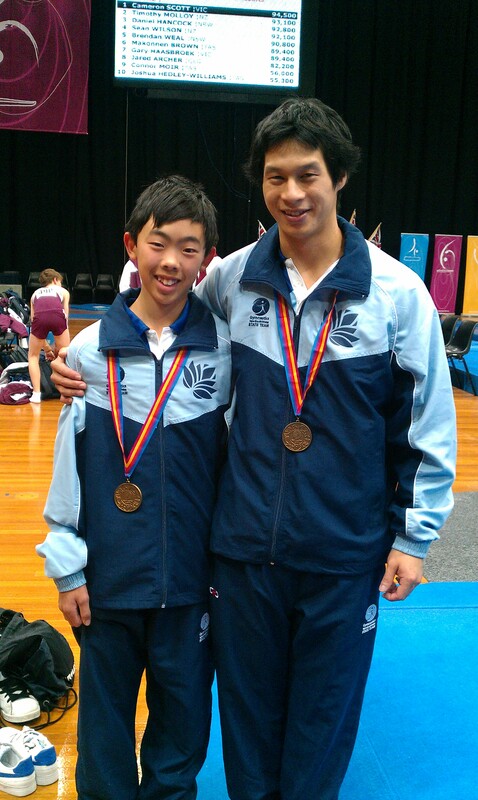 Her amazing results also included Gold for the NSW Team, Gold for Hoop & Clubs and Bronze for Ribbon. This was an outstanding result at such a high level of competition. 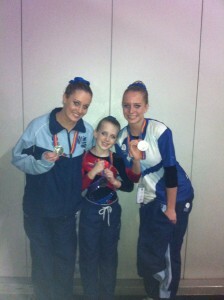 A Silver Medal at Nationals!! 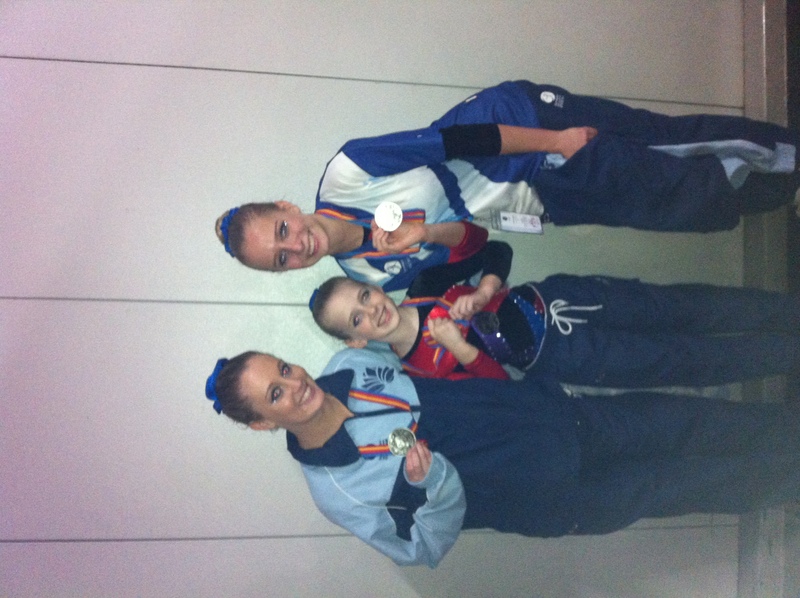 To top off the Acrobatic Competition, our level 8 trio of Kate, Floss and Keely brought it home with a Silver Medal. Fantastic job girls, we think your the best !!!!!!!!!!! 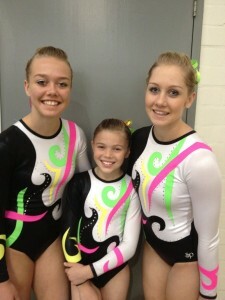 Amazing performances from our gymnasts, Abbey, Brittany & Mackenzie at the National Championships today. Well done girls, you looked great and can now boast you are the best Level 7 trio in Australia!!! Congratulations girls, you did a fantastic job. All the hard work has paid off……..Well done! Wow…. congratulations to Rowan & Gareth on their Gold winning performance at the Australian National Championships 2012. We are so very proud of you both.